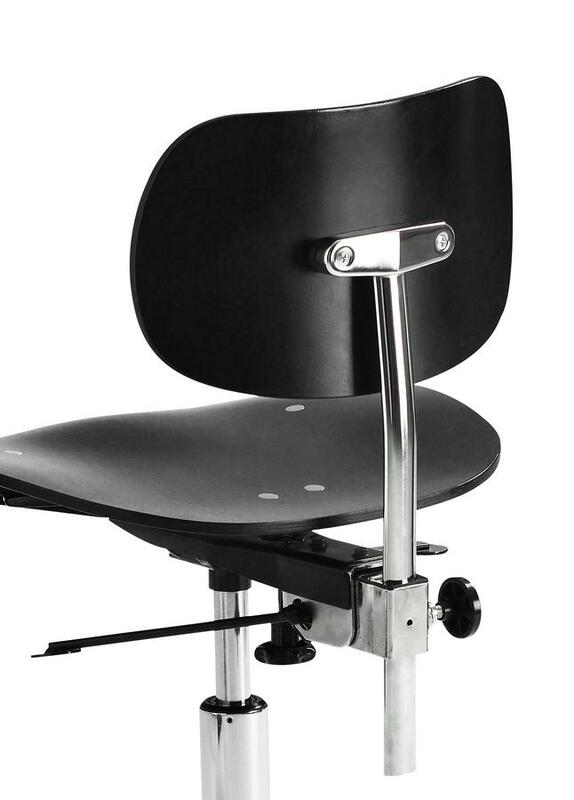 The German manufacturer Wilde + Spieth, who distributes the swivel chair S 197 R from Egon Eiermann, has always been dedicated to merging of architecture and design. 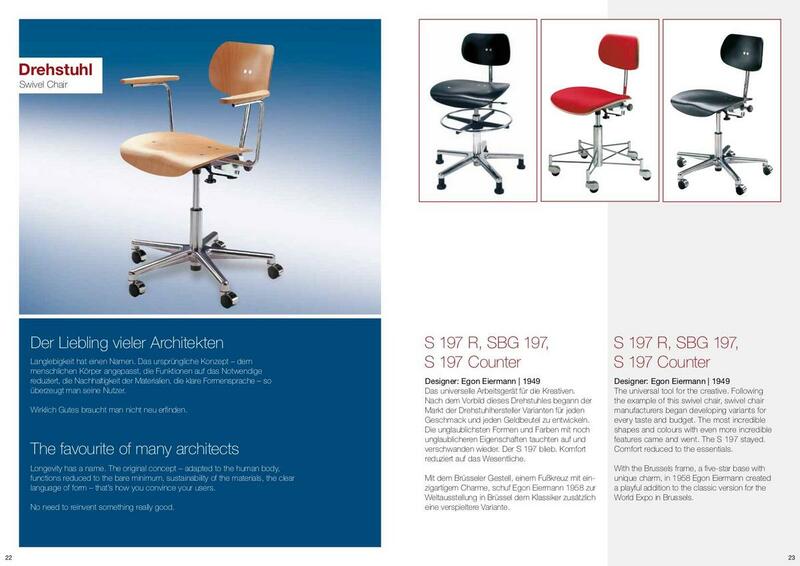 Consequently products have emerged, which perfectly combine aesthetics, ergonomics, functionality and comfort. 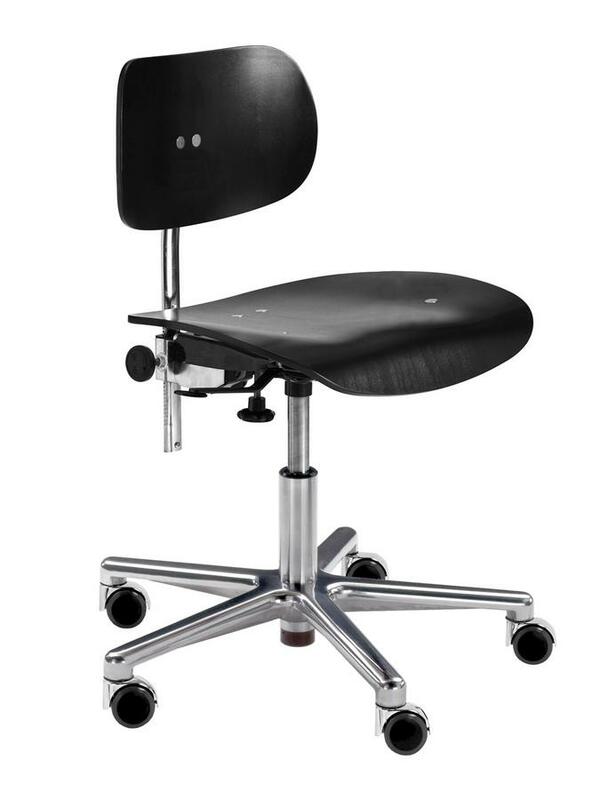 Chairs such as the swivel chair S 197 R, which is an evolution of the multi-purpose chair SE 68 and which thanks to its graceful base is a simple as it is comfortable office chair. 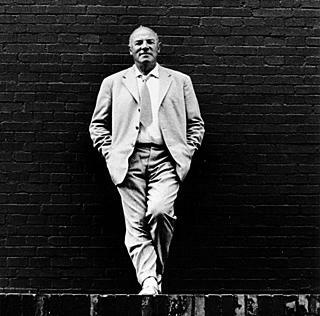 Egon Eiermann was one of the most important architects and designers of post-war modernism, and whose building's today characterize many cities in Germany and also in the rest of the world. But not only his buildings made him famous, but also his comparatively small objects came to bestow him international recognition. Thus arose, for example, from a cooperation with the seating manufacturer Wilde + Spieth the SE 68 chair, a stackable all-rounder, who with its tubular steel legs and three-dimensionally shaped wood parts was a true pioneer in the field of serial furniture production. The most successful product in the portfolio of the German manufacturer Wilde + Spieth, the Eiermann SE 68 has been extended by additional features that make it suitable for a variety of everyday situations. 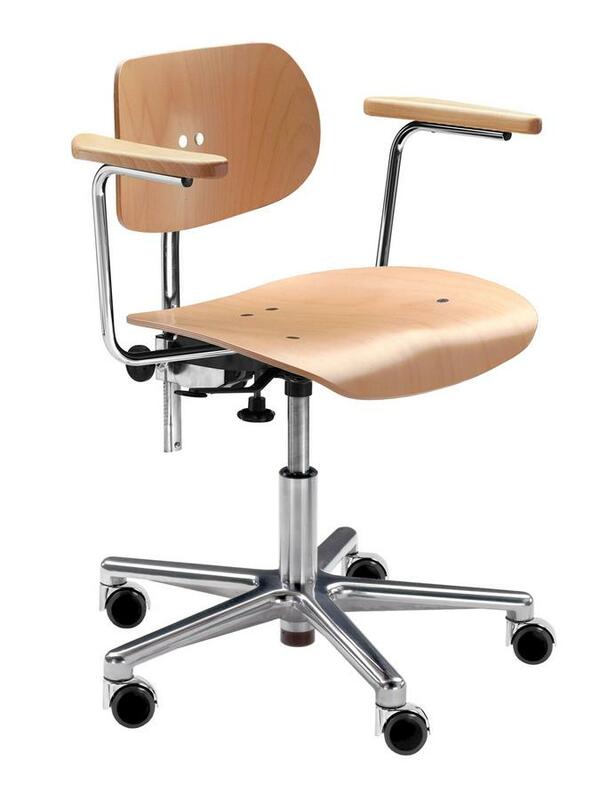 Thus in the resulting S 197 R, the four-legged rigid tubular steel frame was replaced by a height-adjustable aluminium base, which enables high flexibility in the workplace. 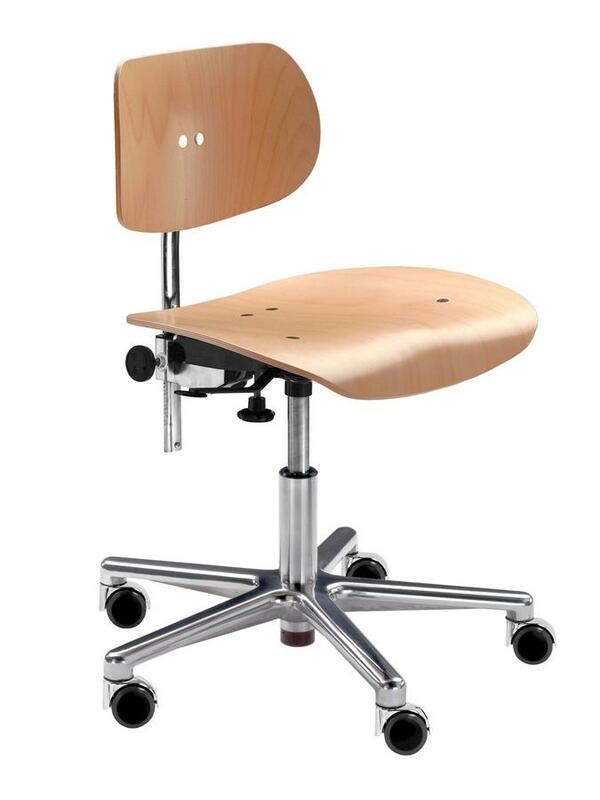 The castor based, swivel chair reduces comfort to the essentials: the plywood seat and backrest remaining true to the ergonomic shape of the original SE 68 and thus underscoring the old adage that if ain't broke don't fix it.